One-hundred-and-fifty kilometres north-west of Frankfurt am Main, Germany, is the city of Cologne. 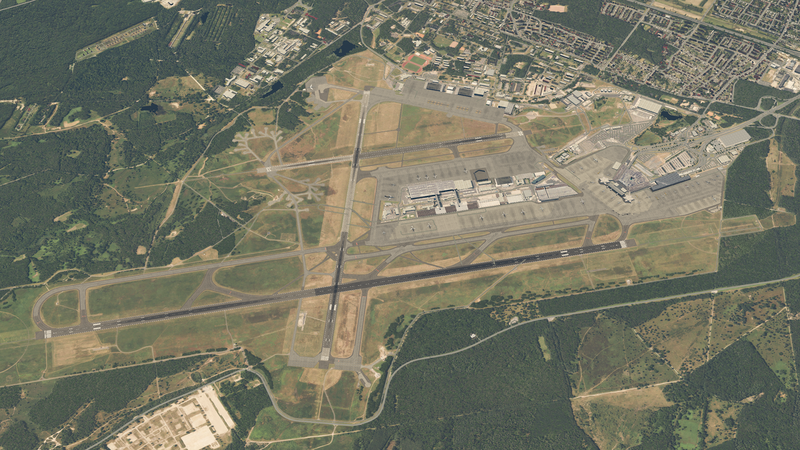 With a population of over one million, it is Germany’s fourth largest city, so it’s no wonder it needs a large airport. 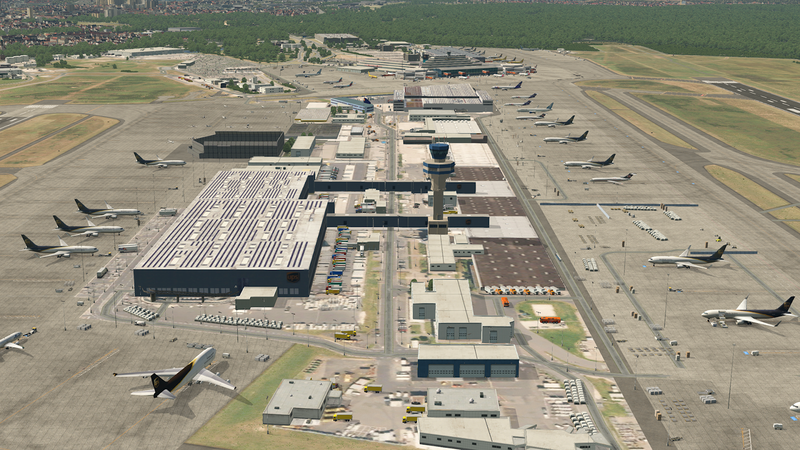 Cologne Bonn Airport saw over twelve million passengers in 2017, as well as more than eight-hundred-thousand tonnes of cargo pass through. 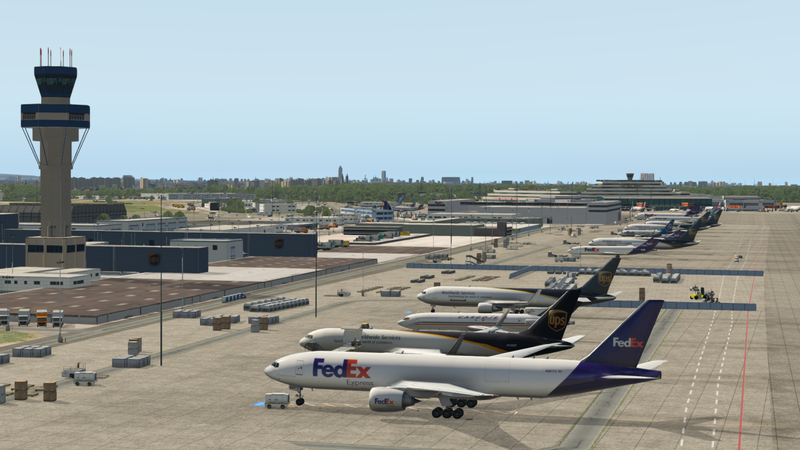 It is Germany’s third-largest airport in terms of cargo operations, being a major hub for FedEx Express and UPS Airlines. This rendition by Cedric Gauche sees a plethora of new additions and features over the previous version. 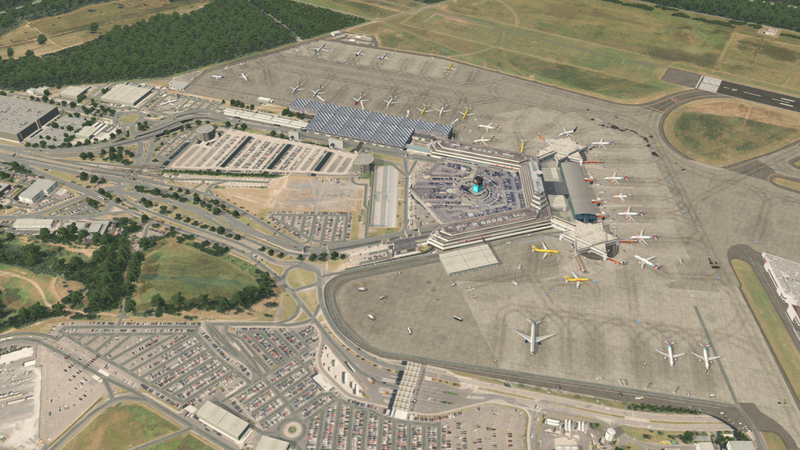 A key highlight of the airport is the use of custom 3D models around the airport custom with textures and Physics Based Rendering (PBR) textures, which have also been applied to hard ground surfaces. 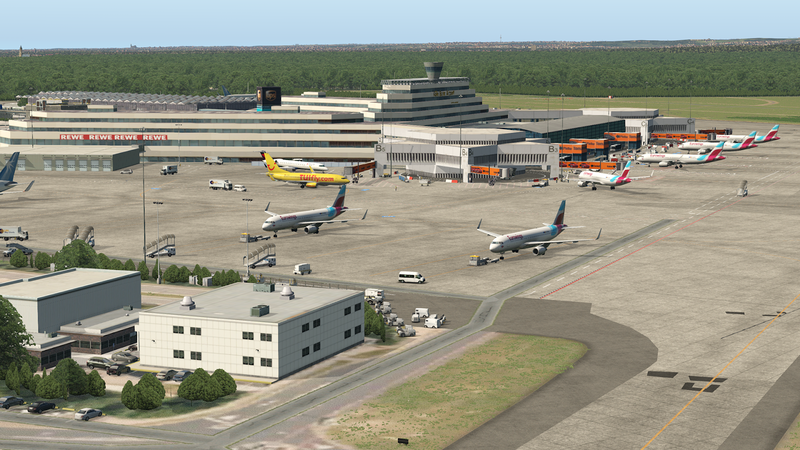 The scenery features 30cm resolution orthophotos and 3D FlyAgi Vegetation, as well as high-definition trees for the best possible surroundings of the airport. 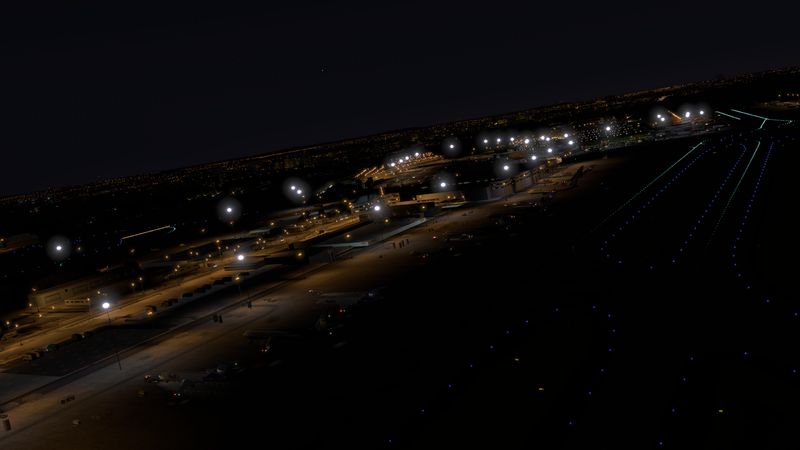 Also included, are extras such as AutoGate support, custom mesh with sloped runways, water polygons to place missing lakes and animated ground traffic. 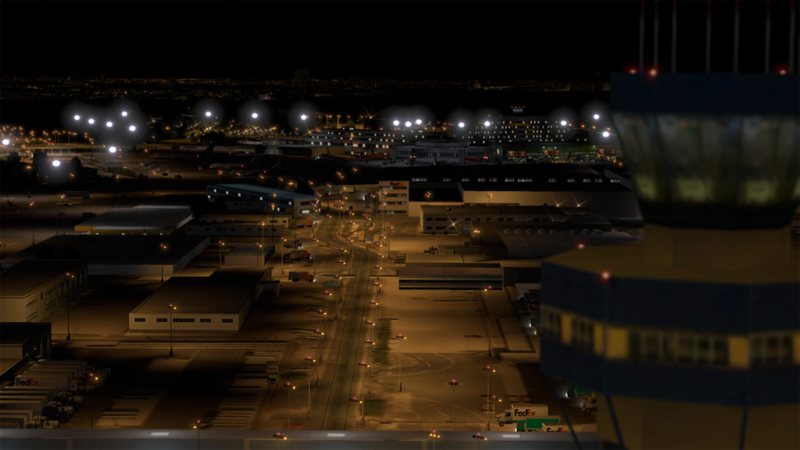 The scenery also supports TerraMaxx seasons. 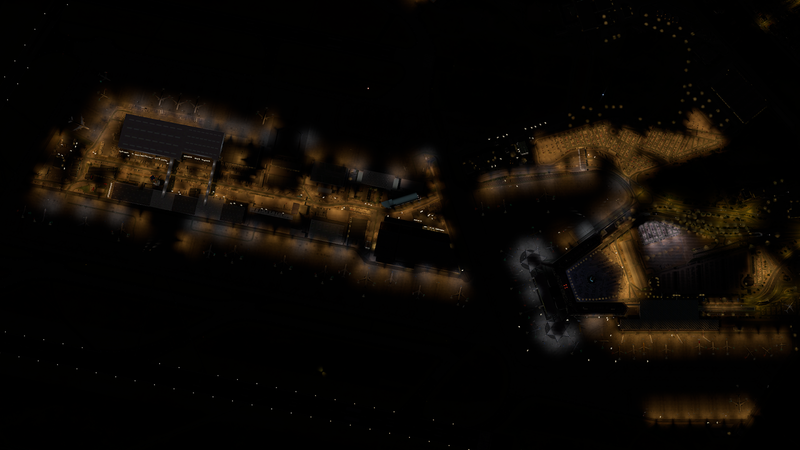 The night lighting and textures have also been heavily worked on, as shown in the screenshots below. 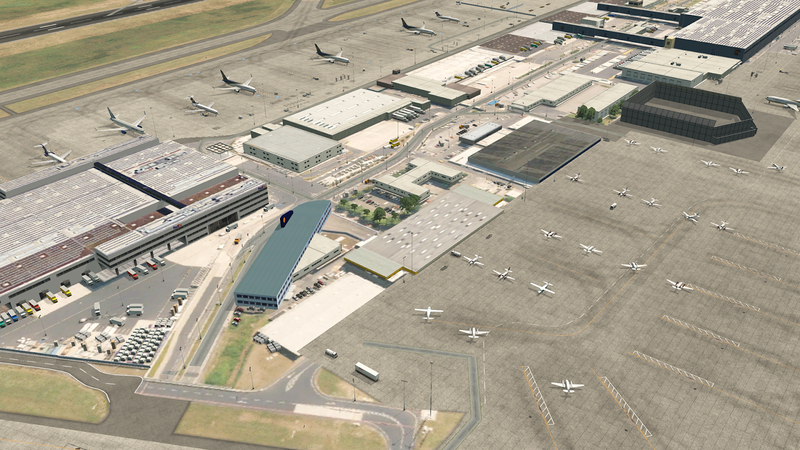 Cologne Bonn Airport by Cedric Gauche is available to download completely free of charge here. OpenSceneryX and the MisterX Library are required for the scenery to work, and it is recommended to install Autogate and Airport Environment HD for the best experience.